U.S. Special Forces soldiers near Manbij, in northern Syria, on Feb. 7, 2018. President Donald Trump has ordered a rapid withdrawal of all 2,000 U.S. ground troops from Syria within 30 days, declaring the four-year American-led war against the Islamic State as largely won, officials said Wednesday, Dec. 19, 2018. 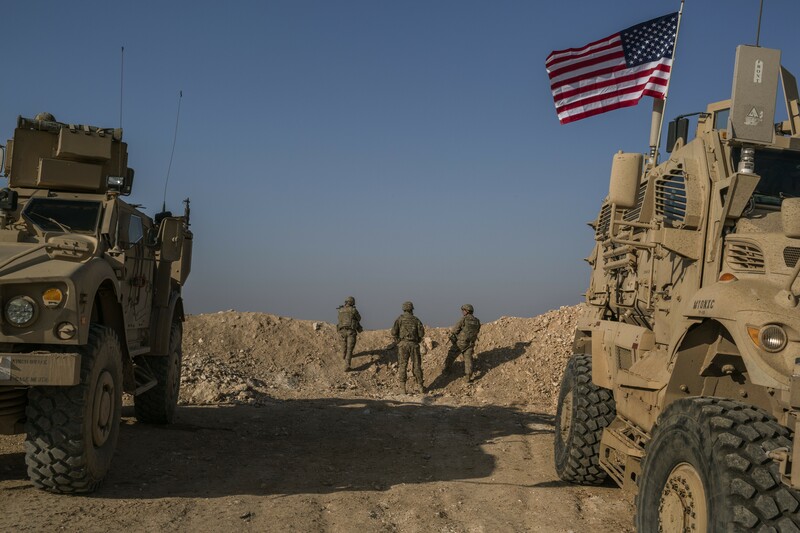 WASHINGTON — President Donald Trump has ordered a rapid withdrawal of all 2,000 U.S. ground troops from Syria within 30 days, declaring the four-year American-led war against the Islamic State militant group as largely won, officials said Wednesday. “We have defeated ISIS in Syria, my only reason for being there during the Trump Presidency,” the president said in a Twitter post Wednesday morning. He offered no details on his plans for the military mission, nor a larger strategy, in Syria. But Pentagon officials who had sought to talk the president out of the decision as late as Wednesday morning argued that such a move would betray Kurdish allies who have fought alongside U.S. troops in Syria and who could find themselves under attack in a military offensive now threatened by Turkey. One U.S. official said Kurdish leaders were informed of the president’s decision Wednesday morning. “At this time, we continue to work by, with and through our partners in the region,” Col. Rob Manning, a Pentagon spokesman, said in a brief statement. A second official said the withdrawal of troops would be phased out over several weeks and that the U.S.-led airstrike campaign against the Islamic State in Syria, which began in 2014, would continue. That official said the military hoped to rely on Kurdish fighters on the ground to help with targeting. In a series of meetings and conference calls over the past several days, Defense Secretary Jim Mattis and other senior national security officials have tried to dissuade Trump from a wholesale troop withdrawal, arguing that the significant national security policy shift would essentially cede foreign influence in Syria to Russia and Iran at a time when U.S. policy calls for challenging both countries. In addition, the Islamic State has not been fully vanquished from the small territory it controls on the Syrian-Iraqi border. The militants have held that territory for more than a year.